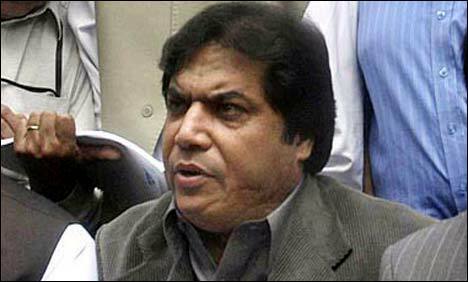 Incarcerated Pakistan Muslim League-Nawaz (PML-N) leader Hanif Abbasi has expressed his helplessness over the alleged political victimisation of his daughter Dr Aria Abbasi at the hands of Punjab Law Minister Raja Basharat, a private media outlet reported Tuesday. “I am a father who cannot even help out his daughter in her time of need,” reports quoted Hanif as saying. He further said that his daughter was targeted at a time when he was in jail and could not do much about it. “Is this how daughters are treated in new Pakistan?” he questioned. “Right now I am a helpless father who can’t do anything for his daughter … I leave the matter on the mercy of the Almighty,” he remarked. Dr Aria graduated four years ago and now she has resigned, therefore she will not appear before any inquiry committee, he added. Lauding Benazir Bhutto Hospital (BBH) Medical Superintendent Dr Tariq Niazi for the courage and strong character he showed, Abbasi said the former was himself a father of four daughters and those with daughters respect other’s daughters as well.